Johnson & Johnson has been ordered to pay $500 million as a result of a two month trial in Texas regarding five plaintiffs who alleged that they were injured by defective DePuy Pinnacle hip implants. 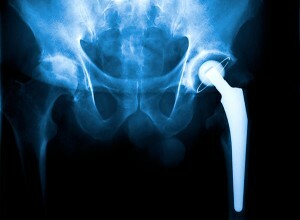 The federal jury ruled that the hip implants were defectively designed and that DePuy, a unit of Johnson & Johnson, neglected to disclose the risks associated with the device. Roughly $140 million was awarded for compensatory damages, while the remaining $360 million is reserved for punitive damages. Johnson & Johnson was previously absolved of liability during the first DePuy Pinnacle hip implant trial in 2014, and will appeal the most recent result. Over eight thousand DePuy Pinnacle hip implant lawsuits have been filed in Texas courts alone, with plaintiffs claiming that the metal-on-metal hip implant device caused them bone erosion and high levels of metal in their blood.